I’m really pleased to say that my tape on Exotic Pylon is finally available to buy on cassette or download. Best to buy directly from the label via Bandcamp I’d say so click on the image below and that’ll take you to the right place. MEGA, mega thanks to my friends who inspired me to put this together and helped me throughout the process. Especially Jonny Mugwump for asking me to do it in the first place, Andie Brown for being an amazing producer and knowing how to do stuff on a computer to “warm up the sound”, Jake Blanchard for being an understanding partner, Audrey La Delfa for the cool arts and as usual my bezzie pals Kelly Jones, Pascal Nichols and Joincey for the caring. They say tapes are like buses which for me means my other tape split with the mighty Ignatz is out real soon! I think next week sometime. 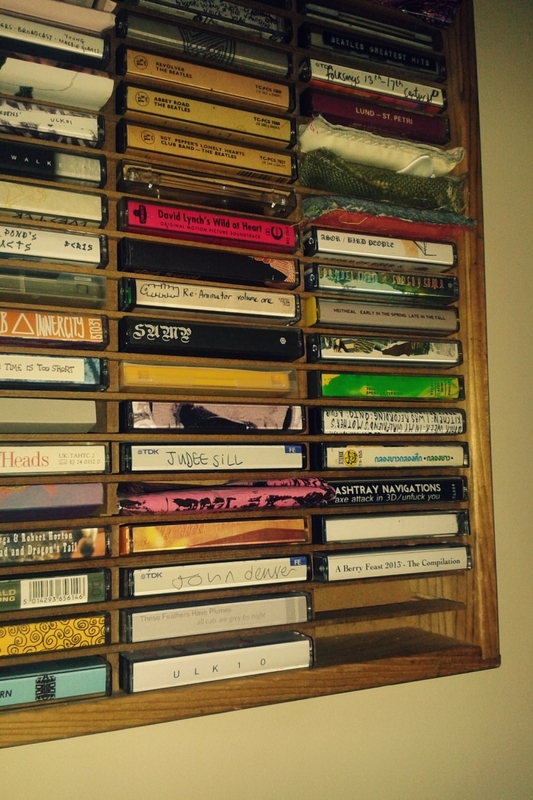 Weirdly enough my tape holder has 2 slots spare at the moment which I think is a spooky coincidence.